The First Class Customs Inc. VIP Full Limo Sprinter. This Sprinter offers comfort, versatility and value that make it a viable alternative to a traditional stretch. The Sprinter is not "cut" or modified beyond original specifications. At First Class Customs we are using a blank canvas that has been engineered by the experts at Mercedes Benz. 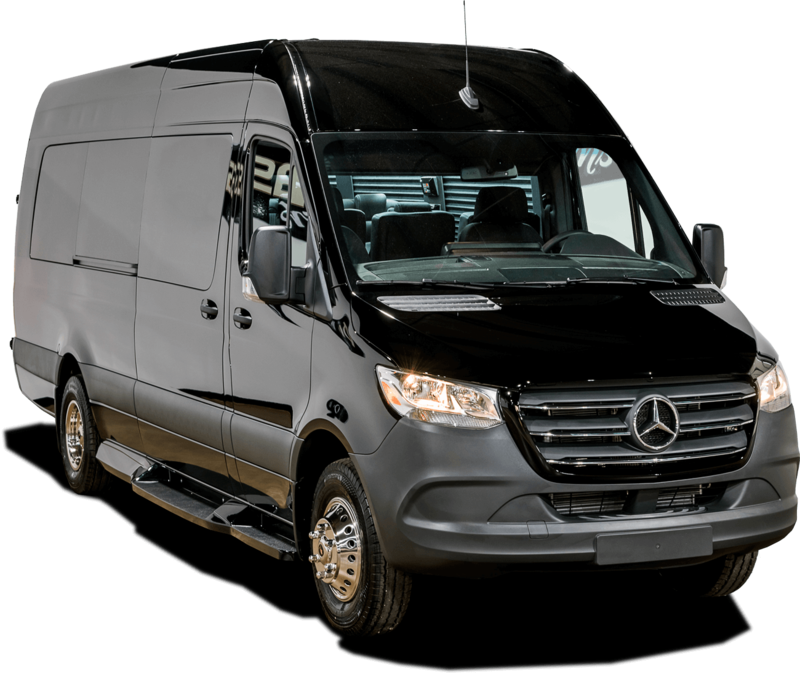 Our most popular and versatile custom sprinter conversion is our VIP Limousine interior which can accommodate 12 passengers in the rear plus driver and co-pilot. Our Sprinter VIP Limousine interior also features a large 24" cargo area in the rear which is must larger than any traditional stretch. Our VIP Limousine Sprinter features two J-Seats and bar consoles in a wide variety of colors and patterns. We offer both a Maybach style and full Stainless Ceiling option in this model . Our VIP Limo Sprinter has been designed for corporate transportation or private charters.